Sure, Vermont is a wonderful place to ski for three or four months out of the year, and during the fall the leaves gracefully drop from the trees. The cities of Vermont are angelic, feeling more like towns and works of art than modern metropolises. Families, foodies, and photographers are all attracted to Vermont for a common reason: Vermont offers a rich pastoral life. 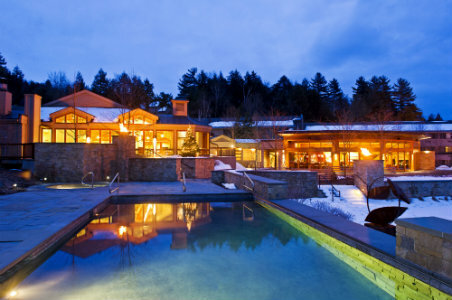 Vermont is more than just a seasonal attraction. After winter there are a number of other activities and excursions one can venture. Vermont is a wonderful state to explore and travelers are learning that Vermont’s beauty and entertainment is what makes it such a unique destination. It’s easy to discount any ice cream factory if you’re lactose intolerant. After all, you’re not going to be reaching for your spoon and digging in. However, a trip to the Ben and Jerry ice cream factory is well worth your time, no matter your dairy disposition. You’ll learn about the history of the giant ice cream company and their unique origin story. (It all started with a five dollar ice cream making class.) Plus, get an insider’s look into the near-magic behind the nation’s greatest ice cream. Fresh samples for willing, non-lactose-intolerant folks. If you want to see the country side of Vermont and witness historic and modern agriculture, spend some of your Vermont vacation at the Billings Farm and Museum. Kids will be allowed a first-hand experience with what it means to work on a farm. Adults will also gain an appreciation for rural life in Vermont with this unique exploration of pastoral life. So come on out and try to see if you’ve got what it takes to be a farm hand. The Vermont Institute of natural Science Nature Center lets visitors come face-to-fact with eagles, owls, and falcons. This is a kid-friendly attraction that gives tourists a birds-eye view of these magnificent birds of prey. This is easily one of the most photogenic locations in Vermont – a must-see for anyone with an appreciation for nature. One cannot mention traveling to Vermont without talking about Lake Champlain. Whether it’s cruising the lake or searching for Champ, the myth that dwells beneath the water’s surface, Lake Champlain has got something for everyone. The views of the Adirondack Mountains are sure to take your breath away. If you’re interested in history then Vermont has you covered. A wide range of historical markers and monuments, Vermont is widely regarded as one of the premiere American vacation spots for seekers of history. The Hildene, the Lincoln Family Home, offers guided tours throughout the summer. The Hildene was the home of Robert Todd Lincoln, son of Mary and Abraham Lincoln. Converted into a museum in 1975, the home offers a look into the wide array of the Lincoln family’s personal effects and historical pieces. One of these historical pieces is the hat that Abraham Lincoln most likely wore during the Gettysburg address. How’s that for history? This article was written by Randy Nelson. Randy enjoys writing blogs that help others seek out the things they need in their life. Whether it’s help with relationships or vacations across the globe, Randy feels passionate about what he does.